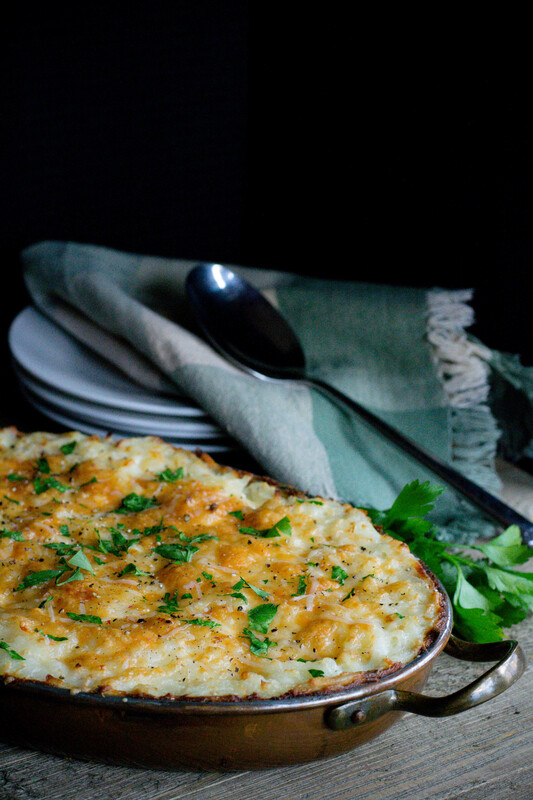 Cheesy Potato Gratin - What the Forks for Dinner? 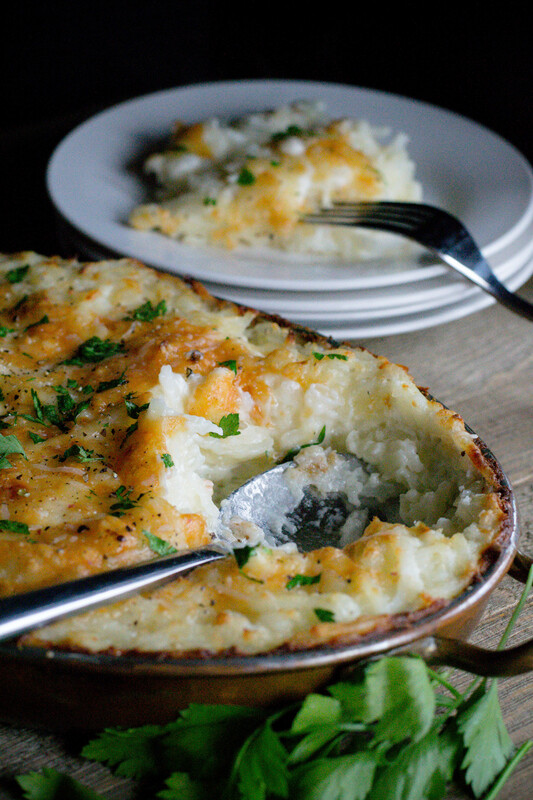 Short and sweet…….easy and cheesy, this post is the first and Cheesy Potato Gratin is the latter. It just a few days before Christmas…..lots to do! Not enough time!! No fear these potatoes are super simple, can be made the day ahead, and slipped into the oven an hour before dinner. 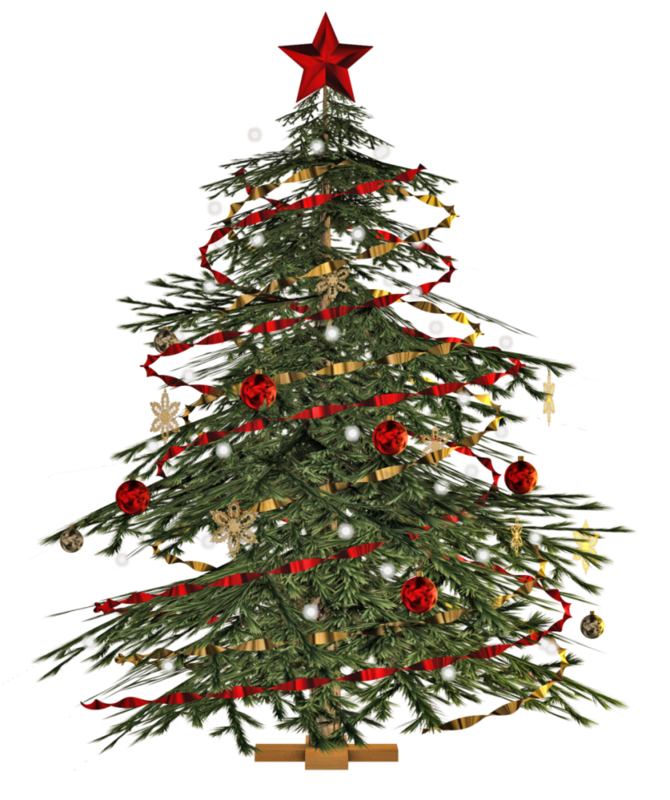 Even though our family is small and we do not have the huge feast that many do, time to relax and enjoy your family is a play, no matter if it two or twenty. I can’t tell you how many years I have been making this recipe. In some of my first blog posts I talked a lot about getting recipes from the little magazine from the checkout lane. I have two all time favorites. 1. Fiesta Egg Skillet and 2. 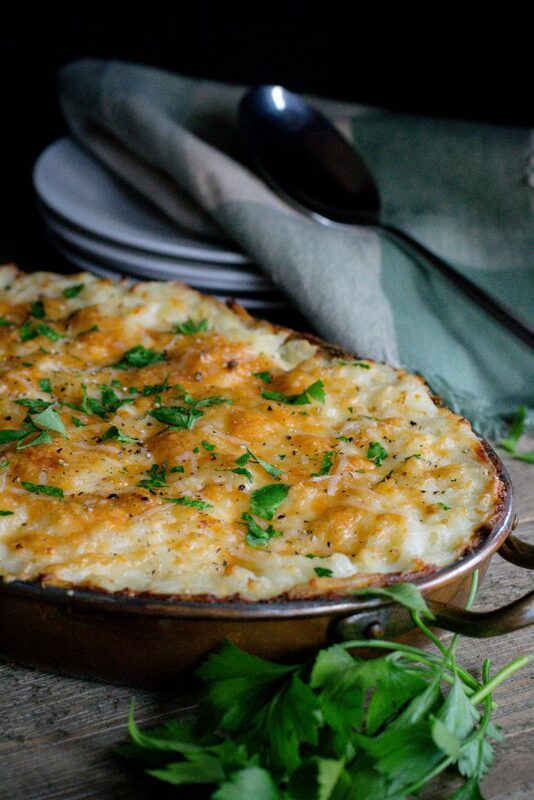 Cheesy Potato Gratin. 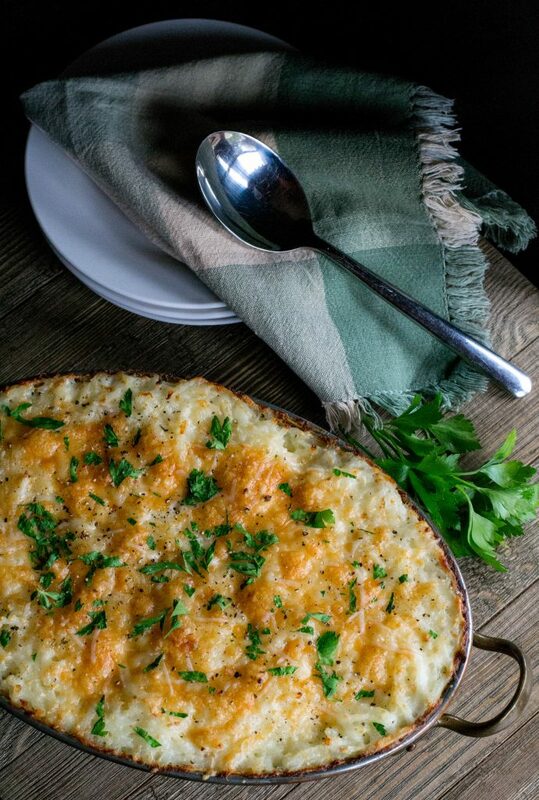 Potatoes Au Gratin is a staple recipe for many a family get-together, and we all have our favorites. Many call for cheddar cheese and well, truth be told, it’s not my favorite cheese. I’m more of a swiss cheese gal, so when I saw this recipe my heart sang just a bit. What really intrigued me about the recipe was the potatoes. In the original recipe it called for frozen hash browns, you know the little cube kind. Simply Potatoes were new on the market (I said I’ve been making this for awhile) If you don’t know what Simply Potatoes are well, listen close……they are real potatoes and in the case of this recipe…shredded, but they come in other forms, and you have NO prep work. They even come mashed!! No peeling, no boiling, in my case no shredding….what could be simpler??? We joke in my family that these are the two,two,two potatoes Everything is a measure of two…lol. A simple roux from butter and flour, add milk, swiss cheese, potatoes, into baking dish, cover and bake. Simply, simple! 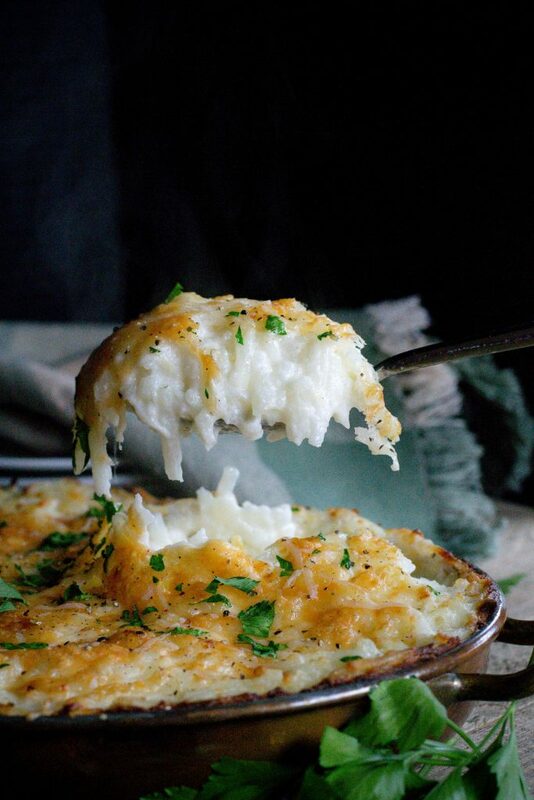 Making this ahead so you spend less time in the kitchen is key whenever you are having family or friends over for any type of eats, which is why Cheesy Potato Gratin is a staple, go to potato dish for me. Just a couple of hints…..place a piece of parchment paper over the potatoes before you put the tin foil on if you are cooking them the next day. Placing the foil right on the potatoes will cause little black marks on your potatoes (we call it tin foil poop…lol). The parchment will not let that happen….it like a potato diaper…lol. Take the potatoes out of the refrigerator an hour or so before cooking if making ahead, or you will need to adjust the cooking time. 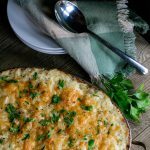 Give yourself a break and make (ahead) Cheesy Potato Gratin and serve your family a delicious new potato side dish without spending time away from them. In a large saucepan over medium heat melt butter. Add flour and cook stirring constantly for about 1 minute. Slowly whisk in the milk. Cook stirring until mixture thickens slightly. Add potatoes and mix well to combine. Pour potato mixture into prepared pan and cover with tin foil. Place in in preheated oven and bake for 30 minutes. Remove tin foil and sprinkle with parmesan cheese. Return to oven uncovered for an additional 15 minutes or until mixture is bubbly and parmesan cheese is browned. If making ahead place a piece of parchment paper over potatoes before covering with tin foil. Remove from refrigerator about an hour before cooking or adjust cooking time if making ahead.